Preheat the oven to 350°F. In a cupcake tray, place cupcake liners in each of the molds. Mix the cake mix, eggs, oil, lemon zest, lemon juice and zucchini puree in a large bowl using a hand mixer at low speed for 30 seconds. Increase the speed to medium and mix for 2 or 3 minutes. Use a wooden spoon to add the chopped walnuts. Fill each mold with 1/3 cup of the muffin dough. Bake at 350°F for 15 minutes or until a toothpick comes out clean from the center of a muffin. Remove from the oven and let cool for 10 minutes before serving. Enjoy! To give the muffins a decorative touch, sprinkle with powdered sugar. 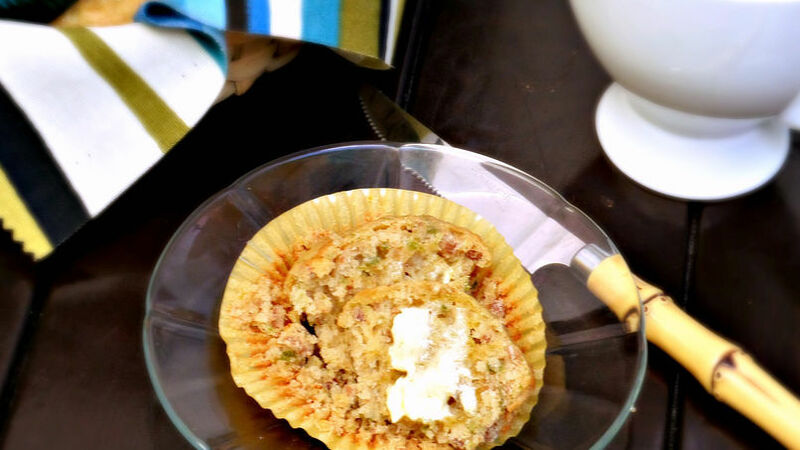 These lime and zucchini muffins are perfect for breakfast on a bright spring morning. Most zucchini muffins are made with fresh grated zucchini, but these are made with cooked zucchini puree. The light touch of lemon highlights the flavor of the vegetable.